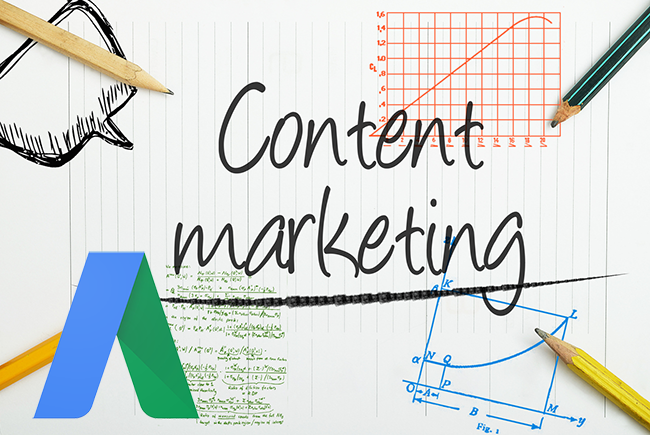 Using AdWords data to help your content's ultimate goal of improving conversions. What is your purpose for creating content for your website? Sure, sure...engaging with your audience, generating a buzz on social media, and positioning yourself as a “thought leader” are all part of it. Nurturing your audience toward conversion. While this is true for...well, all marketing initiatives, it’s rather easy to lose sight of this ultimate goal when developing a marketing strategy for your business. As we alluded to above, we sometimes get so wrapped up in trying to rank #1 on Google, creating intriguing content, and getting our readers to share this content on social media that we forget that these things are a means to an entirely different end. This isn’t to say these “mini-goals” aren’t important. To be sure, if you aren’t accomplishing these smaller feats, you probably aren’t doing too well in terms of conversions, either. On the other hand, if you have accomplished these smaller goals, and your conversion rate remains stagnant, those smaller successes don’t really matter all that much. So, while you certainly want to create valuable content for your readers that generates visibility for your brand, you also want to be sure that this content moves those who engage with it further along the sales funnel - and ultimately leads to conversion. Which is where your AdWords data comes in. As you probably know, the data presented regarding your AdWords campaigns essentially showcases the overall effectiveness of the ad(s) in question. To break this down a bit more, this data can help you identify the keywords and phrases behind your most successful ads. As we’ll get to in a bit, defining these high-converting keywords is essential to an effective content marketing strategy. Going along with this, knowing which search terms individuals use when they’re prepared to make a purchase is also important, as it will help you “speak the customer’s language” throughout the content you’ll be producing. Now, let’s dive into how to actually make all this happen. So, now that we understand the importance of using AdWords data to develop your content marketing strategies, let’s dig into the process of doing so. Your first order of business is to know which Adwords data is relevant to your purposes - and also to understand what, exactly, this data means with regard to your content marketing initiatives. Cost-Per-Click tells you how much money you’re spending every time a person clicks on your ad when they use a specific keyword. Typically, the higher a CPC, the more difficult to rank for the term using organic methods (such as "content marketing" vs "content marketing strategy"). For keywords with a high CPC (but also a high conversion rate), you’re probably better off paying for ads rather than trying to rank for them. Low CPC keywords, on the other hand, are typically easier to rank for organically. However, usually, the reason their CPC is so low is because they’re not exactly all that valuable - meaning you probably won’t want to focus on creating content around these terms. Your best bet is to focus on keywords that fall in the middle of these two ranges. A mid-level CPC essentially tells you that the keyword in question is worth focusing on, and also isn’t insanely difficult (and/or impossible) to rank for. This means that, by creating solid content focusing on these keywords, you have a decent shot of ranking for the term in question. If you can make this happen, you can save some money on ad spend for the keyword - and perhaps invest it in some of the more expensive keywords for your niche. By analyzing the CTR of the headlines and descriptions of your ads, you can determine which benefits or features of a particular product or service are connecting with your customers. Whatever patterns you find, you can then replicate to improve the meta title and meta description of content that you publish on your website to help improve your organic CTR. Along these same lines, you can assess the click-through rate (as well as conversion rate) of your various keywords to identify which search terms people tend to use when they’re intent on making a purchase (or at least checking out products, as opposed to simply reading content). You can then create content around these search terms that serves to both educate your visitors and nurture them toward conversion. Impressions are counted simply by the number of times an ad shows up on a search results page - regardless of whether the searcher engaged with it or not. Now, for the purpose of improving your content marketing strategy, you’ll want to consider the amount of impressions a given keyword generated as compared to the ad’s click-through and conversion rates. If you notice that a specific keyword has a high number of impressions and a high conversion rate, you absolutely want to focus on creating content surrounding this keyword. Reason being, it not only generates a ton of visibility for your website, but it also gets a ton of engagement as well. If, on the other hand, you find that a specific keyword is generating a high number of impressions but is not often getting clicked on (or is not leading to many conversions), well...you don’t want to throw it away just yet. While it certainly may be an irrelevant or otherwise worthless keyword for your purposes, there are a number of other reasons for such a discrepancy between impressions and CTR (for example, the keyword might not be a good fit for a hard-selling PPC ad, but may be more suitable for an informational, top-of-funnel blog post). The point here is that, when you notice a huge discrepancy between the impression amount and conversion rate of a specific keyword, you’ll want to dig deeper to determine the reason this is so. AdWords also allows you to determine where and when your ads are being clicked on - information that can be vital to your content marketing gameplan (as well as to your overall marketing plan). When analyzing your geographic data, you might discover that a large percentage of your click-throughs come from individuals living in a single general vicinity. Knowing this, you’d want to then create content that would be of high interest to people living in that area. We’ll get more into this in a bit. AdWords will also tell you the time(s) during the day - and day(s) during the week - your ads are generating the most engagement. In turn, you’ll be better informed as to when your target audience is most active on the internet. Again, we’ll get into what that means for your content strategy momentarily. Placement data allows those who advertise on the display network to identify which websites your display ads have appeared on, along with information regarding who these ads appear for, and why an ad appeared on a specific site for a specific user. In addition to this information, you can also view the previously-mentioned engagement metrics (e.g., impressions, CTR, etc.) for your display ads on various other websites. As you discover sites on which your ads are performing rather well, you can add these sites to your list of potential link partners to reach out to and share your content with. While there are certainly many other Adwords-related data and metrics to consider while working to improve your content marketing strategy, the ones mentioned above should be more than enough to get you moving in the right direction. Now, let’s discuss how to actually use the metrics mentioned above to begin creating high-converting content. Before you begin creating new content, though, you want to be sure that your current content is as effective as can be. First things first, reinforce in your mind (and the minds of all of your content creators) that content marketing is as much marketing as it is content. It’s worth repeating that insightful, informative content that doesn’t nudge the reader along the sales funnel - while valuable to the reader - doesn’t do much for your business. With that in mind, use your AdWords data to determine whether the targeted keyword(s) for a specific piece of content is worth targeting for organic SEO in the first place. You can do so by comparing the value-per-click of said keyword. Content focused on high-value keywords, of course, are worth keeping around; content focused on low-value keywords should either be tweaked to include relevant high-value keywords, or done away with. Also worth noting are cases in which a discrepancy exists between the number of views a piece of content has seen and the amount of engagement it’s generated. In such a case, it may be that the content’s headline and description were on point (i.e., were focused on value keywords and targeting the right audience) - but the actual meat of the piece offered little of value. Similarly, the title - while seemingly valuable to a specific demographic - ended up being rather misleading with regard to what the content is actually about. Improve the content in question. Since you know that people are interested in the overall topic at hand (otherwise they wouldn’t have clicked on the link at all), you don’t need to spend time digging up better keywords or anything like that. Now you can simply work on improving the content to your audience’s liking. Lastly, when auditing your existing content, you also want to pay attention to what’s not there. In other words, take a look at your high-performing keywords from your AdWords data, and compare this list to the list of keywords you’ve targeted within your content marketing initiatives. 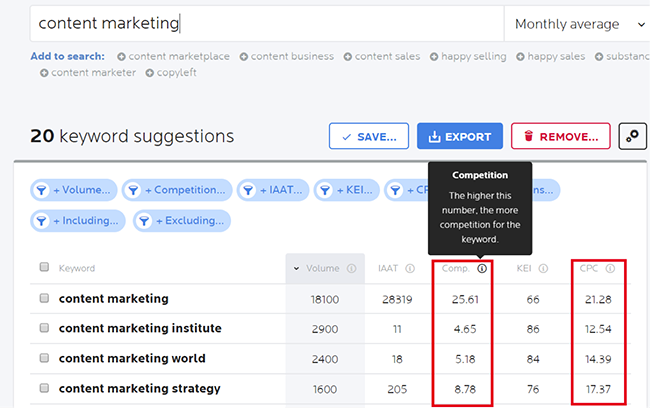 If you notice that certain high-converting keywords aren’t represented within your content catalog, well...get started on some new content. Once you’ve collected and analyzed your Adwords data, determined which keywords and topics to focus on, and have set a more solid goal for your content marketing initiatives, you’ll be ready to begin creating new content for your readers to devour. Now, while your AdWords data will provide insight into which of your current keywords are worth focusing on, you’ll certainly want to use keyword research tools like Wordtracker to discover new secondary keywords that relate to your primary focus. As a quick example, using Wordtracker to find data on the search term “beauty products” brings up a list of related keywords such as “French beauty products” and “Korean beauty products.” While we’d have to dig a bit deeper into the data, this surface-level info tells us a beauty-related company might do well to create a blog post discussing the various types of beauty products from around the world. As we spoke about earlier, since AdWords reports provide data regarding your audience’s demographics, geographics, and more, you want to keep this knowledge top of mind when creating new content. With a better understanding of who your customers actually are, you’ll be in a much better position to create content tailored specifically to them. This means not only creating content that they’ll find valuable, but also that caters to them in terms of style, format, and everything else that goes into the creation of high-quality, engaging content. Additionally, since you now have a better idea of when your target audience is most active on the internet, you can create a content publishing schedule that aligns with these times. Similarly, you can use this time-related data to schedule social sharing of your content, as well. In turn, you’ll maximize the chances that your fresh, new, engaging content will be seen by the exact people you created it for in the first place. Your AdWords reports is a treasure trove of information that can help you increase not just the effectiveness of your PPC campaigns - but of your entire marketing strategy as a whole. 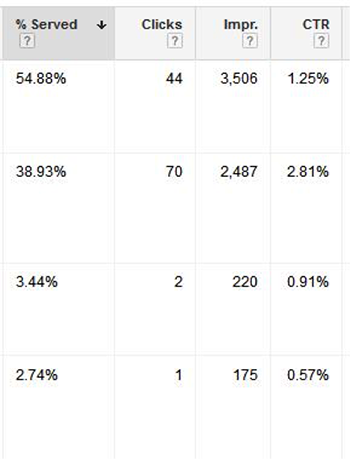 Are there any ways you’ve used your AdWords data to help improve your other marketing initiatives in a way that, at first, may not have been so obvious? We’d love to hear from you in the comments below! A 10-plus year veteran of the digital marketing industry, Anthony Capetola has built and managed successful SEM and Social PPC campaigns for hundreds of small to large-sized businesses in various industry verticals including national franchises and eCommerce. As the current Marketing Manager for Sales & Orders, which provides management software for Google Shopping, Anthony manages the entirety of paid search and inbound marketing efforts. What makes keywords so important? Download the Scout browser extension and discover the high-performing keywords in your market, in seconds. Want to write for Wordtracker? Stripe emails – a tool from the team behind Wordtracker.